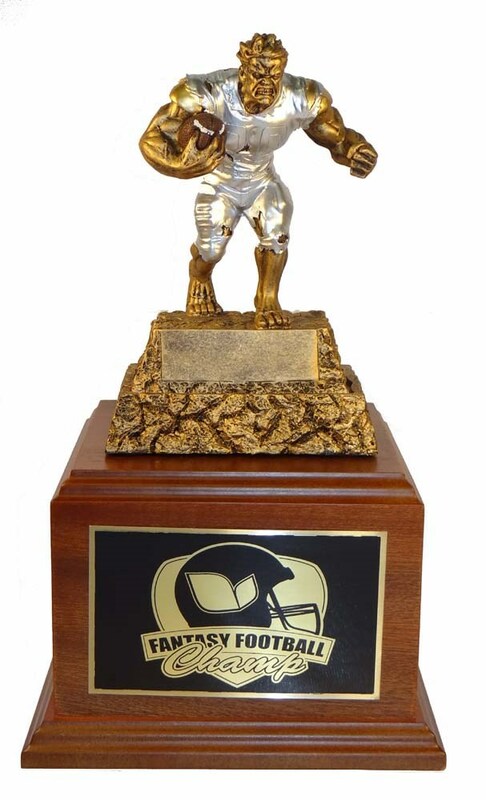 13"H Monster Resin Football Player trophy with wood base. Price includes engraving and logo. Please e-mail your logo to sales@victoryawardsandtrophies.com.